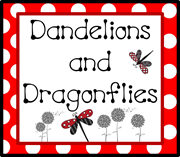 We had a great busy, but great week ...picture day, hearing/vision screening, a guest visitor, and open house! I'm tired just typing it. I was a little nervous about open house, not sure why, because it was just that...open house! I didn't have to give a speech or present anything, just be in my room and say hi to parents. The next task was to do or have my kids make something that they would be proud of and want to share with their parents. I of course also wanted to use technology. So what better than a paper slide video! Click here if you didn't read my post about paper slide videos. Some of them came out great! I then wanted to also to have something up, outside my classroom door. I saw a cute board posted on Pinterest (I think), but it was the little MP3 players with the student pics and it said "iRead"
Then light bulbs went off!!! Why not make QR codes (those fun looking squares that you scan and can take you to a website or enter you in a contest) for the student's paper slide videos?!?! Then glue them on the little MP3 players that have their pics on them??? Here is what the display looked like. The QR codes are right below their picture. The parents came in and scanned their student's code and BAM watched their video! If they didn't have a QR app or didn't have a smart phone I had six iPods available for them to use. I had only one video that didn't work because I had so many private settings on it that it didn't allow us to scan and view it. So how do you do this you ask? I uploaded the videos to my teaching partner's You Tube site, his was pretty well set up and had some great security features chosen. From now on though I will be uploading to School Tube. I would have done it for this project, but it took the website a few days to verify that I was an educator. I HIGHLY suggest you use School Tube! It's AWESOME! 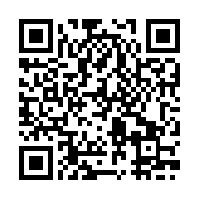 Once they were uploaded I simply copy the video link and pasted it onto this site QR Stuff. It generated the QR code and I downloaded it. Once it was open I printed it, cut it out, and glued it on the student's MP3 player. 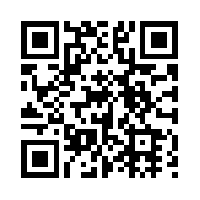 Here is one of the QR codes for one of the paper slide videos. You can even scan QR codes right off the computer!!! So I'm glad to say I made it through Open House with flying colors! The next thing I am going to use QR codes for in my classroom is my "focus walls". Our district asks that we have focus walls for at least reading and math. Now as to what a focus wall should look like or can look like...that is up for interpretation. Well I have a hard time covering my walls with too much stuff, sensory overload (for me...not saying it's wrong or bad). So my interpretation was more...focus wall posters! They are posters that have our topic for the week or weeks. During that particular week the poster is a work in progress, usually hung on my board during that class period. Once finished it hangs in that area of my room until the next topic is completed, then I change it. Here are my last three focus wall posters. But what do I do with the old posters? How can the students use the old posters and topics to reference? I can make, print, and post on my wall...in that subject area of my classroom the QR codes for previously taught topic posters! The kids can use their iPods to scan the codes and the picture pops up! Here is one of my other math posters...but scan the QR code to take a peek, ENJOY!!! Do you use QR codes in your classroom? How? Here are some updated pics of my room I took during open house. Finally got all my writing drawers and got them numbered! My book boxes came in!!!!! I LOVE LOVE using the book boxes! What place value is the underlined digit? What is the value of that digit? What does this have to do with my classroom? Well...we are doing a little LARGE digit place value review before we gear up for decimal place value and decimal to fraction fun! What does this number have to do with me you ask?? That number is how many total page views I just realized I have!!!!! Can you believe that??? I really can't! Here are a few pictures of my interactive math notebook, Place Value, a little like last year...but also a little different. ENJOY! We have one of these in each quad! Things have really been going well as I started my 11th full year of teaching as we wrap up day five! I do find that I am trying to "find my groove". I think if you have ever changed schools, or states, then you might know what I mean. Some of us may have that feeling every year. Maybe finding my "stride" is a better word?! One new thing I am trying is a way to get the student's attention. I've always had my different ways, and staring seemed/seems to always do the trick...my motto is/was "You waste my time, I waste yours". And they knew that I was timing them and would take that time away from any extra time at the end of the day, recess, or they could owe me time by the end of the week. I also tend to have a "strong" voice, so usually can get their attention pretty quickly. Another one I use when partner sharing or group sharing is I simply start counting backward from 5 and they know to stop talking by the time I reach 1. Something I noticed at my new school was that most of the teachers say something...and then the students say something else in return. I Pinterest searched a few of these and while they were cute and great attention grabbers they just didn't seem to fit my personality. I will admit this whole idea was a little out of my comfort zone to me. But once again it was something these students were use to and something I felt I could incorporate. This was also something that I could use/do if I was in small group and needed to get the whole classes attention while they were doing something else (unlike the silent putting my hand in the air and such). So I thought...and thought. My room is Room 15...so I thought I could call out "Room 15" and then let them call something back. I really couldn't think of something that rhymed so I asked my class to help out. First response (kid you not), student response: "You're the Queen!" Can't get any better than that!!! Well actually we could, we did the You're the Queen thing for a day or so and I vetoed it and now they say: "We're a Team"
I just kept blushing every time they said it! On another note I semi-successfully taught my first art class...we started with Primary and Secondary colors. After a long speech on not playing with the paint (and that the two worst things for my OCD were letting kids use paint and glitter)...that I was really taking a step of faith and hoping they would follow my directions/rules not to play in it, paint themselves, etc. I went to mix up the red paint by shaking it and WHOOSH!!! it splattered all over the place!!!!!!! (at least it was washable, and the class didn't laugh they all just sort of stared in shock...and waited for my reaction). I used this fun printable for the mixing. Click here to get it! Also here is a little peak of our Learning Targets the other day...some for the week. I left some of them incomplete because I didn't want to "give away" what I would be questioning them about at the beginning of the lessons. Many of you were wanting more information on Mentor Sentences (warning there aren't many pictures in the post). I guess let me first define what a mentor sentence is...basically it is an example of a well-written sentence that is written correctly. Yep that's all it boils down to, pretty simple. See most of us are use to using Daily Language Practice or Review. This gives students a sentence that is written incorrectly and has them correct it. Which can be useful when teaching grammar and being able to recognize mistakes (now you Mentor Sentence gurus don't faint because I said that). These are just my personal feelings, and what I have found to work best for me. But the idea of Mentor Sentences is that the students need to see sentences that are written correctly. My viewpoint...they need to see a great sentence to be able to write a great sentence. The person responsible for and behind the idea Mentor Sentences is Jeff Anderson (you can view his website here). There is no special list of Mentor Sentences, it's a great sentence that really stands out for whatever reason, that can be found in any text (I have pulled many from news articles). One thing I did learn over the past few years was to help with planning and getting those CCC standards, knowledge standards, and whatever else they may be called was to find a sentence for the week that matched a specific topic I may need to teach. For example...I know I need to cover commas or I recognize the students are struggling with semicolons in their writing; I will look for a great example sentence from text that we are reading or have read that has and uses commas or semicolons. (It helps that they have seen the text before, allows them to connect...and you can use this to help bring in those other subject areas...Social Studies). Once you have found your Mentor Sentence you spend the week "tearing it apart"; recognizing those things that make it such a great sentence. Now this is where I feel you can make it your own. I have used and seen many different variations of the Mentor Sentence schedule. Monday: Invitation to Notice: Students notice things about the sentence. I really work with my students on the fact that they need to notice the structure of the sentence not the parts of speech. They can notice the punctuation at this point. Tuesday: Invitation to Notice-Parts of Speech: (my kids got confused with the two titles being the same, so I called it Identify). Students notice the parts of speech and label them (I have a guide/key on the different ways to label). Wednesday: Invitation to Revise- Students add to and change the mentor sentence to make it more interesting. Thursday: Invitation to Imitate- Students write their own mentor sentences using the mentor sentence as a guideline for the structure and parts of speech. Now on to what I do. Like all teachers I have taken what works best for me and my students. This may vary from year to year. I still think there are parts of Daily Grammar Practice that work for me and therefore I continue to use them in my BIG 5 as morning work (maybe another post for another day). I incorporate my Mentor Sentence into my Language Arts block (again it may differ when according to day, schedule, and so on). I always write the sentence on a poster or sentence strip that stays up the entire week. I do all of my noticing, revising, etc. using my document camera and interactive board. Day 1: (I use days because some weeks I may start on Tuesday, it's just a little less confusing) Invitation to Notice/Identify. I combined the two days because of lack of time. I allow them to Notice first...then we share. Then they Identify, and yep we share again. Day 4: Diagram it! One year this worked amazingly. The students loved diagramming...and I admit I love it as well. It really helped me when I was a student to quickly identify parts of speech. I was/am a very visual learner and by diagramming I was able to visualize every single part of speech. Now last year this didn't work so well for my kids, it just didn't click. So this year I'm not doing it, at least to start with. So that all being said (thanks for reading it all!!!) there is a GREAT resource that I found called Ideas By Jivey (here is the link). It may give you more/better information, and has some great links as well. And for being such AMAZING followers I am attaching the link to my posters. Again this is how Mentor Sentences work for me, I'm not saying it's the best way for you. Click here for the posters!